I will be joining up with Mark Laroque and Trevor Bishop at Heritage Park in Milton, ON for a special event weekend Friday night dinner with Michael Lamport. Saturday workshop with Doris Hole and an evening ghost hunt. I'm attending the table of Patrick Cross at his launch of New Ghost Tours "Discovery Ghosts!" Wanda will contact you with the schedule of when you may expect your reading to arrive. It may be anywhere from 3 days to two weeks depending on the work load. Readings by appointment are $50. per half hour. Contact Wanda by email to coordinate time and place. Therapeutic Touch™ is neither Quantum Touch, nor Healing Touch, nor is it a form of massage. Therapeutic Touch is a modern application of ancient forms of healing which use the laying-on of hands. In Therapeutic Touch, the practitioner uses his/her hands in the client's energy field to facilitate healing. The client remains fully clothed, in a sitting or lying position. The practitioner usually moves her hands at a distance of a few inches from the body, although touching can be involved. As we are dealing with energy which transcends our notion of physical space, Therapeutic Touch can also be administered at a distance, even across the Ocean. Wanda has worked with hospice patients at no cost through the Therapeutic Touch Network and also through private request. 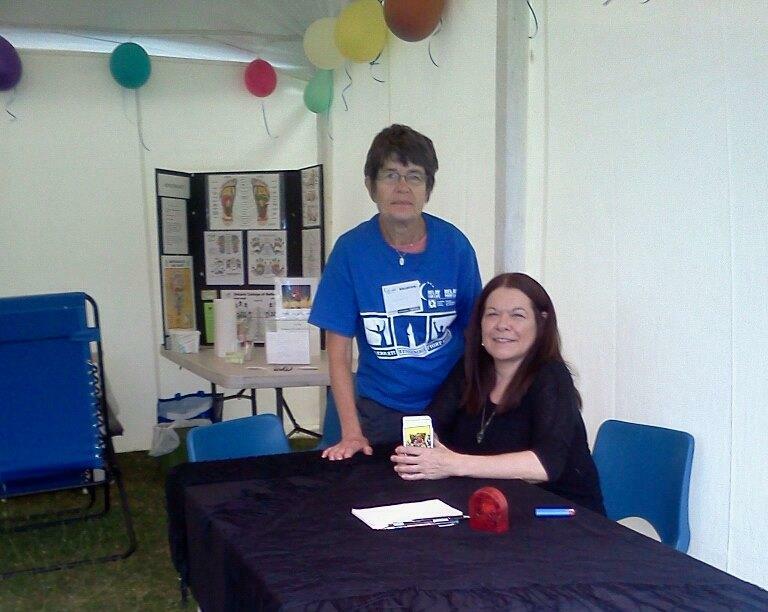 Wanda Tarot Reading at Relay for Life Woolwich June 20, 2014. "I had a great evening! It was busy from beginning till the end. I'm considering doing this again next year." ﻿﻿LIVE CHAT - Wanda Hewer meets with Trevor Bishop and discusses Scrying, Psychic Abilities and gives free readings to call in and email inquiries. 3:00 pm. - 2:00 am. Tickets $100 includes Seminar, Dinner, Evening Ghost Hunt and Seance!. July 6, 2013, 6:30 pm. Wanda and Mark Laroque discuss Halloween tips! Wanda and Trevor discuss The Brantford Private Home Episode "The White House"
Psychc Tarot at a Booth. Psychic Tarot readings and Energy re-balancing and recharge. 3:00 PM - Join the team on the Kitchener Ghost Walk and discover the history of Doon Mills. 3:30 PM - The team investigate strange sightings and experiences at the Old Coronet Hotel in Kitchener. 4:00 PM - The team talks with Stratford Psychic Sally Diane who reveals the Ghost Stories of the Queen's Inn Hotel. 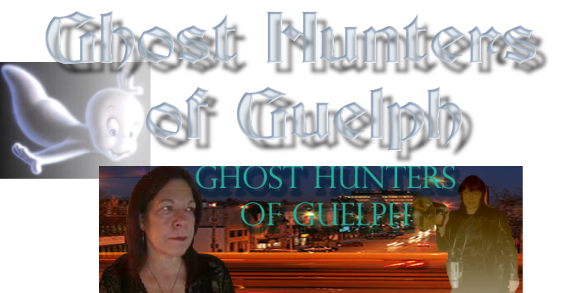 4:30 PM - An interview with Psychic and Medium Wanda Hewer, and an investigation at the Guelph Little Theatre. 5:00 PM - Mysterious sales assistants and objects that have a mind of their own at Southworks Antiques in Cambridge. 5:30 PM - The history of the Baden Hotel and spirits in the area. 6:00 PM - The team travels to a property in Brantford to investigate a number of active spirits. 6:30 PM - The Brantford investigation continues with a special Seance.